Why Are ICOs Risky in 2019? What Are The Risks Of An ICO in 2019? Just like the returns on an investment in an ICO can be huge, so can be the dangers. If you want to learn about the risks in an ICO and how to minimize them, this a quick guide is the right place to start. The cryptocurrency market is still under-regulated. That means investors may be left on their own if an ICO turns out to be a fraud or the project fails. Neither of these scenarios is uncommon, and with immutable transactions and insufficient regulations, you can only trust yourself to make the right financial decisions. On the other hand, the holders of an ICO may end up trapped by financial regulations, too. For example, many ICOs had to be moved or delayed due to infamous China’s ban on ICOs and exchanges back in 2017. Investing in relatively inexperienced teams with an unproven (experimental) business model and a high risk of default. Limited transparency regarding project progress and issues. The risk of investing in an elaborate scam or pump and dump scheme. It may be difficult to grasp the full picture of the ICO before you invest. The value of ICO tokens can be purely speculative and experience wild fluctuations. The hype of an ICO may surpass its actual utility. Uncertain regulations which may result in fines, extra costs, or sentences. Uncertain regulatory difference between utility and security tokens. Unstable investment currencies that may devalue extremely fast. Little to none information about the token holders. The interest in ICOs has been waning ever since early 2018. Responsibility if projects security is compromised and it ends up harming the investors. Risk of issuing incorrect documentation in regulated states. 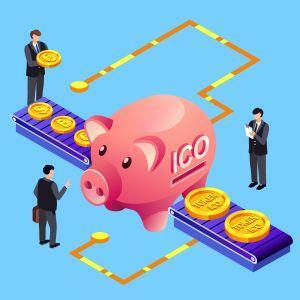 As a result, both ICO organizers and potential investors need to consider the risks carefully. It’s not, in fact, rare for ICO teams to merely run off with investors’ money, and it’s not rare for ICOs to receive fines and regulatory obstacles after they ended. But that doesn’t mean that all ICO’s are invalid and should be avoided. There are still some decent projects out there, but you need to separate the wheat from the chaff. - The people behind the project are anonymous, use fake identities or have counterfeit accounts on social networks. - The team lacks professionals with relevant experience. - There is no legal entity behind the ICO. - The whitepaper and business plan sound unrealistic and/or lack a detailed analysis of the market and competitors. - The project’s authors do not provide an example of their blockchain code. - There is no working prototype. - There is no escrow wallet for delivering investors’ money to developers (preferably in portions) only when certain criteria are met. - The project doesn’t commit any code to Github. - The project doesn’t have a clear roadmap. - There is little to none credible PR or media activity or positive mentions of the project. - The token or blockchain doesn’t seem necessary to reach the project’s goals. At the end of the day, you have to do your own research and figure out for yourself whether the ICO is credible or not. 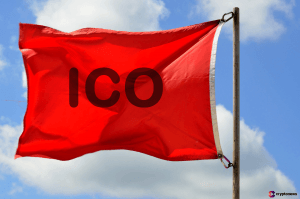 Try to avoid projects with numerous red flags or the ones which are located in uncertain regulatory environments, and your ICO investment should turn out just fine. Previous - Why invest in an ICO? Next - What is Bitcoin? Have any suggestions about this entry?Let us know. STO stands for security token offering. It is a process similar to an ICO where an investor exchanges money for coins or tokens representing their investment. Why Invest In An ICO?